This 5-Drawer Chest 221503 from Nexera features 5 drawers on metal slides and adjustable levelers. You can pair 2 chests side by side to create a double dresser and add more storage for clothes and personal effects in the room. 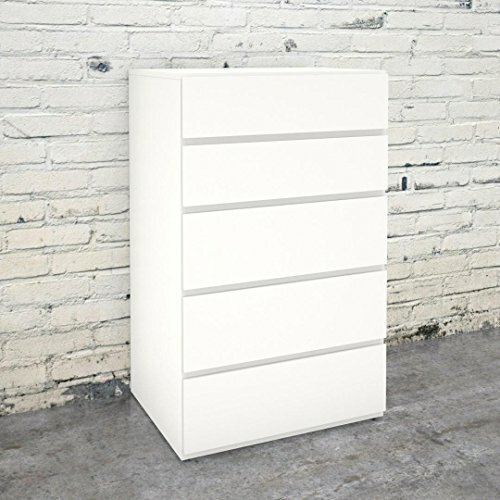 Can be paired side by side with another 5-drawer chest to create a double dresser for additional storage.